Social media developers put a lot of time into making their platform easy to use. But if you’ve ever struggled to upload an image only to have it cropped in the wrong place, be too small for the space, or show up blurry, you’re not alone. 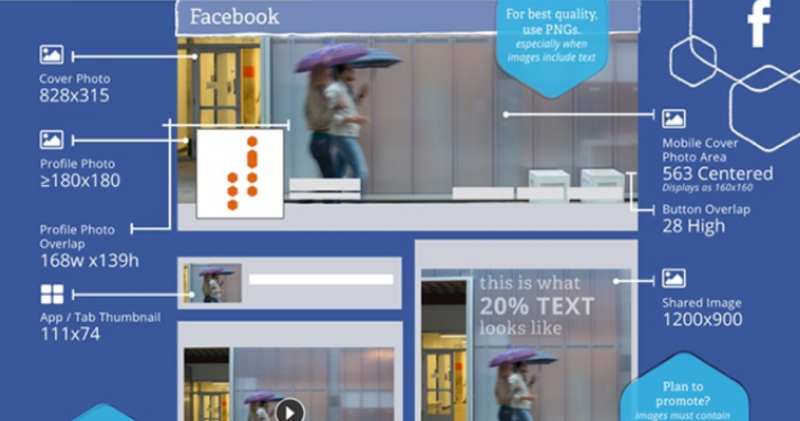 To make life easier, this handy all-in-one infographic from Hubspot breaks down image and video sizes for Facebook, Instagram, Twitter, Google Plus and other popular social media sites. Now you can easily find exactly what size you need for a profile picture, cover photo or animated GIF. For the advertising side of things, Ad Jelly provides an up-to-date library of ad specs and sizes for just about every type of social media platform out there. They even have Photoshop templates available to download, saving you time and taking the guesswork out of sizing. Check out our Resources post for a list of other handy tips, tricks, tutorials and more!